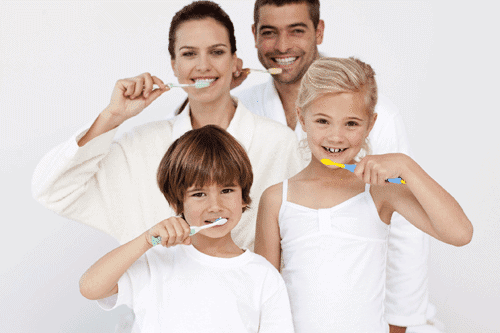 Oral health is important for every member of your family. 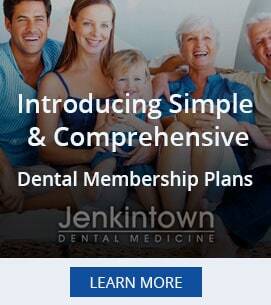 However, because each individual has different needs when it comes to oral care, promoting family dental health on a daily basis may be a challenge for you. If you want to prevent gum disease, tooth loss and other oral health problems, here are a few tips for doing so. The first step in ensuring the family’s oral health is to talk to your dentist and become aware of proper brushing habits, as well as putting a stop to some bad habits you may be practicing. For example, you should consider only offering a bottle to your baby when the child is hungry, as allowing him or her to suckle before sleep causes sugar acids to build up in the mouth and cause decay in the child’s developing teeth. Your children cannot learn good oral habits on their own, so one of the most effective ways to promote family dental health is to set a good example. Discuss the importance of oral health with your kids and be vigilant about how often they brush. This is especially important for children under the age of seven, who should have assistance with brushing their teeth in the morning and evening. Consistent daily habits can help to put them on a path to a lifetime of healthy teeth and gums. Promoting family dental health should include each member of the family and begin as early as possible. Children as young as age one can visit the dentist and you could learn how to support good oral health that can last a lifetime.